In light of the recent New York Times article, I wanted to take a moment to share my perspective on a few topics related to competition in the ticketing business—a business that is more competitive right now than it has ever been. We see the evidence of that every day, because we are out competing for ticketing deals every day. The NYT story Live Nation Rules Music Ticketing, Some Say With Threats is right about one thing: Ticketmaster continues to maintain its position as the clear industry leader. That leadership, however, is not the result of any unfair advantages resulting from being a part of Live Nation Entertainment as some are suggesting. 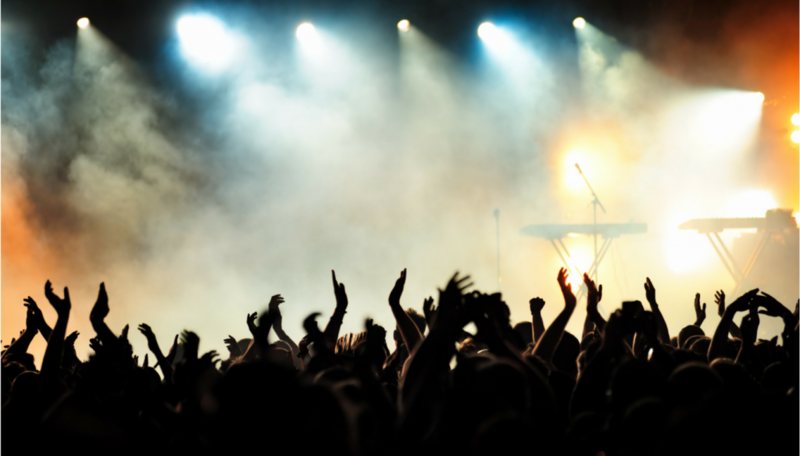 Pure and simple, it is the result of Live Nation’s ongoing commitment to invest hundreds of millions of dollars into Ticketmaster to ensure that our people, technology and services are the very best at what they do. And let’s be honest, these investments are significantly larger than any other provider in the space by a wide margin. Over the past 5 years alone, we have grown our product and technical staff by close to 20%. We now have over 3,600 team members across more than 50 offices in 29 different countries waking up every day on a mission to provide better tools and solutions to the artists, teams, promoters, venues and fans we serve. And as a result, we have continued to grow. Unfortunately, that isn’t what some of our competitors, including AEG, want you to believe. They have been telling anyone who will listen that the reason they often lose to Ticketmaster is not because we have worked hard to create better products and add new services, but because we threaten venues with a loss of Live Nation content (concerts) if they don’t pick Ticketmaster as their ticketing partner. They say we make these threats in violation of an agreement, referred to as the Consent Decree, that Ticketmaster and Live Nation entered into with the U.S. Department of Justice upon merging in 2010. Let me set the record straight about this. We take our obligations under the DOJ Consent Decree very seriously and we do not ever knowingly violate it. The fact is, the Consent Decree simply doesn’t mean what AEG and some of our competitors want it to mean. To provide some background, when Live Nation and Ticketmaster merged eight years ago, regulators evaluated whether it would be anticompetitive to combine a big ticketing company like Ticketmaster with a big concert promoter like Live Nation. The DOJ studied this issue very closely and determined that vertical integration between content suppliers (i.e. concert promoters) and ticketing companies was generally a good thing as long as it did not stifle competition. In fact, the DOJ decided it actually wanted more vertically integrated competition, so it required the creation of a second company that could offer both content and ticketing. To achieve this, the DOJ required Live Nation to spin off some of its ticketing assets (namely a copy of one of its ticketing systems) to the second-largest concert promoter in the United States, AEG, so that AEG would become “a new, independent, economically viable, and vertically integrated competitor in the market for primary ticketing services to major concert venues.” The idea was that Live Nation/Ticketmaster and AEG, with its new ticketing capabilities, would then compete vigorously with each other and with others in the marketplace. In addition to creating this level competitive playing field, the Consent Decree also forbid Live Nation from telling venues that it would not book any shows at the venue if they didn’t use Ticketmaster for ticketing (a practice call “conditioning”). It also ensured that Live Nation could not refuse to book any shows at a given venue “for the purpose of punishing or disciplining” the venue for using someone other than Ticketmaster for ticketing (a practice called “retaliation”). However, what the Consent Decree emphatically does not say is that Live Nation and Ticketmaster have to pretend that they’re not a vertically integrated company. The New York Times article suggests that any benefits of being a vertically integrated company are, in and of themselves, anticompetitive. They insinuate that we “condition” content. That we “retaliate” when Ticketmaster is not selected as a venue’s ticketing partner. In short, they say we have stifled competition. The proof is in how competitive the ticketing marketplace is today. It is very well known that the business is far more competitive than ever. Some of our competitors, including SeatGeek, are companies that didn’t sell primary tickets until very recently. Others, like AXS and Eventbrite, have been around for years but have greatly built up their businesses with acquisitions. And new entrants are on the horizon, including resale ticketing companies and e-commerce giants. In today’s environment, venues are weighing all sorts of potential benefits when selecting a ticketing partner. And one of the more important considerations they weigh is how they can maximize the number of shows (concerts, family shows, etc.) that come to their venue. As a result, we are very regularly asked how Ticketmaster can help influence getting more Live Nation shows and when we are asked, we speak honestly and candidly about it. The unsurprising fact of the matter is that tours are mostly routed based on where they can A) sell the most tickets and B) make the most money. Live Nation, as well as other promoters, in turn regularly ask us which buildings we ticket because they want to have access to the tools and services we provide to help them maximize revenue, not the least of which is our leading distribution network which has been well documented to sell more tickets for shows than those playing non-Ticketmaster buildings. As a result, Live Nation makes more money playing a Ticketmaster building partially because of the money Ticketmaster itself makes, but also because they sell more tickets at better prices. In other cases, albeit rare, our ticketing agreements actually provide venues with a committed number of shows to be booked by Live Nation—as the Consent Decree anticipated and clearly allows. But we very much prefer not to do this and in the few places where we do, it is much more common for us to be asked to bundle content with ticketing than for us to propose it. You can tell, this is a frustrating subject for us because there is so much more to Ticketmaster. It is a company filled with tremendous people building great things. People who are incredibly dedicated to their mission of better serving fans and artists, teams and venues. I would much rather talk about the things we are doing to ensure that consumers get fair access to tickets, such as Verified Fan; the lawsuits and public policy efforts we have launched to fight scalpers, bad actors and Bots; and our fantastic consumer security initiatives around digital tickets. But I guess none of that sells newspapers. So, we will continue to uphold the principles of the Consent Decree as we always have without shying away from talking about the things that we believe make us the best overall partner in the market. That’s the way competition should work.